David Norman Prince, born near Westville, OH on July 25, 1831; died Dec. 5, 1919 and was buried in Evergreen Cemetery, St. Paris, OH. He married on May 5, 1859 in Champaign Co., OH to Mary Jones, born Jan. 23, 1839; died Mar. 21, 1900. David was a school teacher until the beginning of the Civil War. 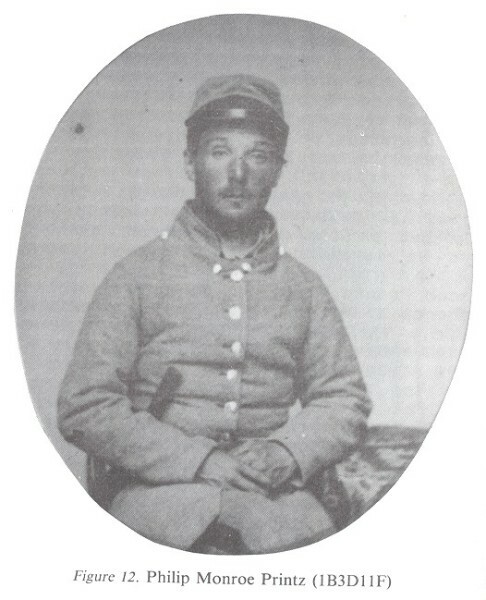 He enlisted on Sept. 15, 1861 for three years in Co. I, 42 Ohio Infantry, commanded by Col. James A. Garfield. (Garfield would later become President of the United States.) He was promoted to sergeant and on Oct. 6, 1862 to 1st Lieutenant of Co. B, 42nd OH Inf. He became Captain of Co. I, on Jan. I, 1864 and was mustered out with his company at Columbus, OH on Dec. 2, 1864. After his discharge, he moved to Shelby Co., OH and on Mar. 13, 1865 settled on a farm near Ballou, Shelby Co., OH and began farming. He was a very civic minded individual and served for more than 25 years on the Board of Education, served as Justice of the Peace, Town Treasurer, President of the Shelby Co. Farmers Alliance and for six years was the president of the Ballou Hall Co. and later was one of its trustees. Gettysburg, and many other minor battles. He was wounded in the ankle at Winchester and in the shoulder at Manassas. 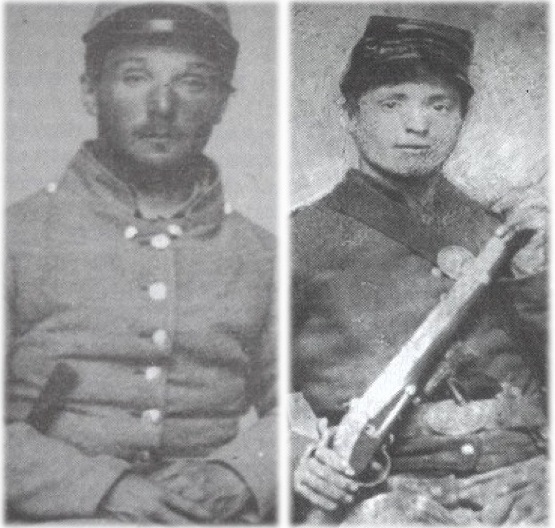 It has been a tradition that Mr. Printz while acting as sentry at one time during the civil war, stopped Barksdale's entire Mississippi brigade because the general at their head could not give the password. Whether this is true or not, it was characteristic of the discipline & determination of Philip Printz to have done such a thing. He born honorable wounds on his body. When Co. K. was captured in 1864 he was taken to Elmira, NY. with his comrades & there held prisoner till the peace. 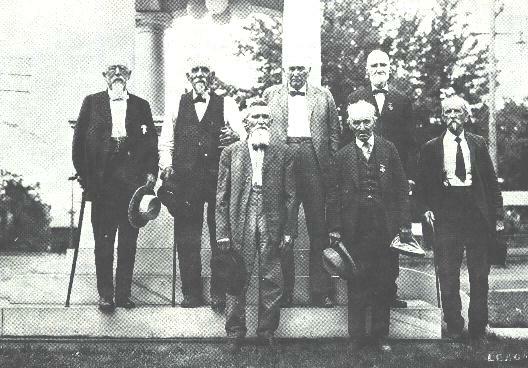 The picture on the right is a 1925 reunion of Confederate soldiers from Page County, VA. Philip is in the middle of the front row. Peter Printz, born June 14, 1791 at Printz Town, VA; died May 12, 1866 there. Peter was an active businessman of that day, having built and operated a sawmill and a grist mill and supplying much of the grain he ground from his own farm. He was also a cooper, making his own barrels and shipping his products to Fredericksburg and Baltimore by his own wagons. During the Civil War, he was an Union Army sympathizer, but did not dare to openly espouse his views. Many times, he was forced to contribute military supplies to both armies-as a result, he suffered financial reverses as a result of these contributions to the war effort. In the 1860 census, he is listed as having real estate worth $5500 and personal estate $780. Peter's brick house still stands at the foot of the mountain near Stoney Man. Above and to the left of the house is the grave of his father, Gottlieb. Jacob Isabius Printz, born Apr. 2, 1839; died during the Civil War. 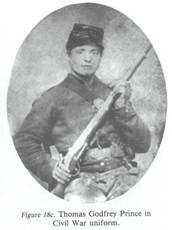 He was enlisted on July 22, 1861 by Benjamin F. Shenk in the 33rd VA Inf. He also served under Col. John Mosby and was taken prisoner. He developed smallpox from which he died at Ft. Delaware. 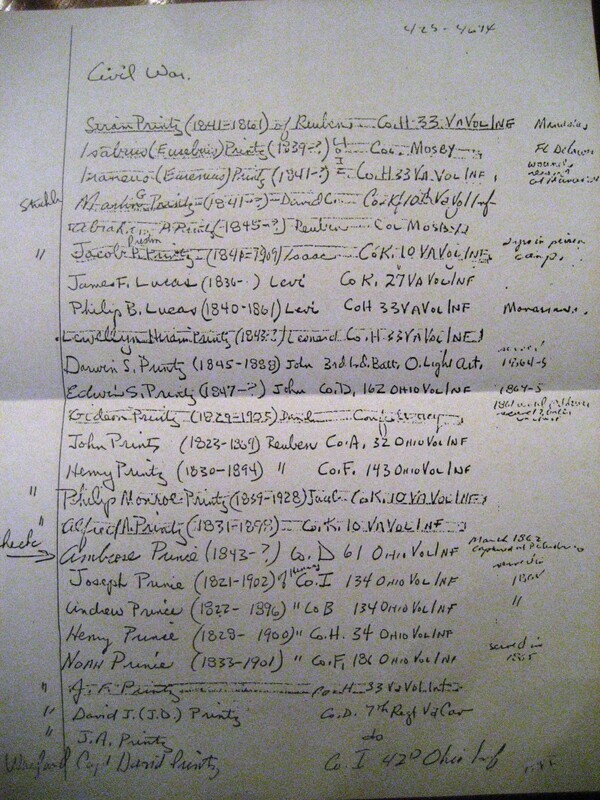 Charles Printz gave me this handwritten list of Printz descendants that were in the Civil War.